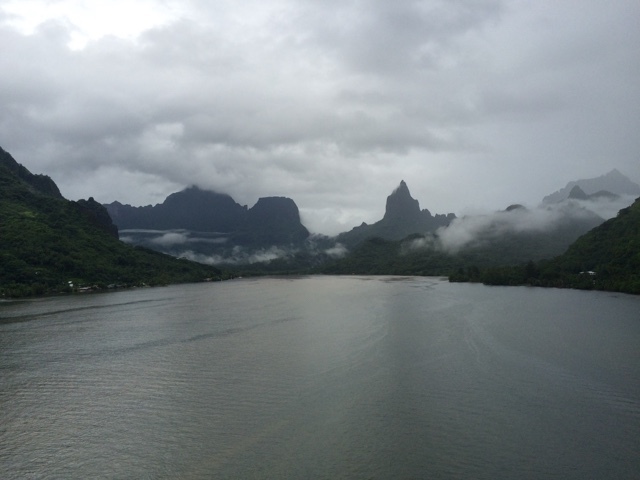 We sailed across the bay to the island of Moorea, and anchored in Opunohu bay. Last time we were in Cooks bay, so this was all new to us, it didn't really matter as it was raining before we were able to get tender tickets. 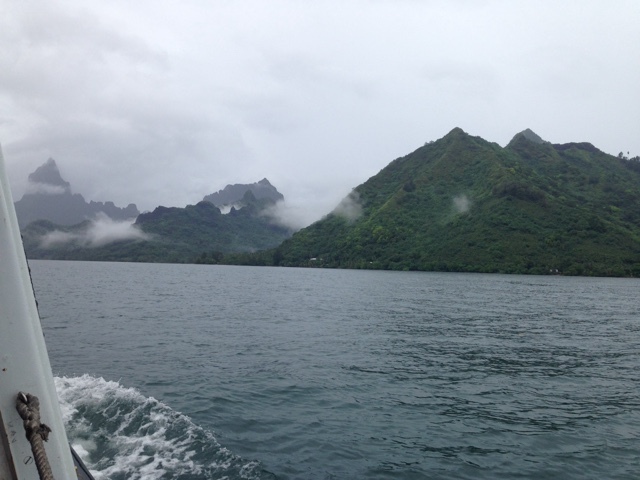 By the time we got to the island it was raining hard, we whroe our swim wear, thinking we outdoor get a excursion to swim with the stingrays and sand sharks, but that wasn't going to happen. The market was under cover, so we just did a bit more shopping. 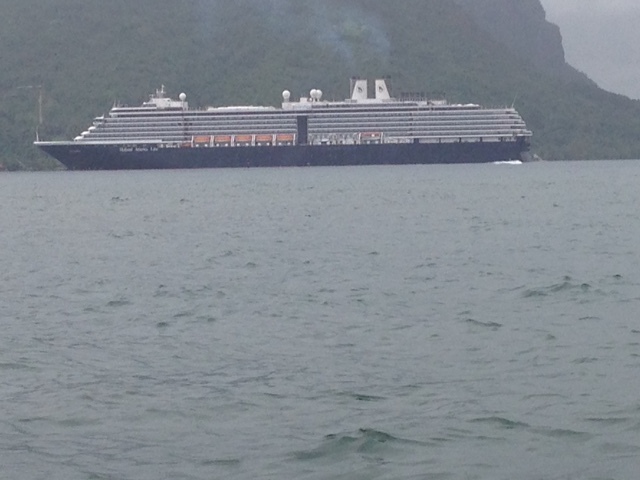 And got in line to go back to the ship, when we got to the ship, it was again a downpour and we had to climb an outside stairway in the pouring rain. Good thing we wore our suites, we were now as wet as we could be. Can you tell it is raining? Oh no, not more rain! !😝 Praying for clear sky's for you! Wow! The rain just wont give you a brake. Sorry. Praying for better weather for you too.